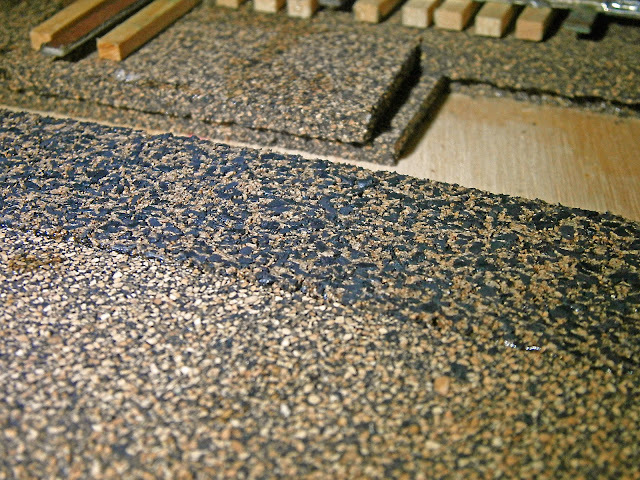 I picked up some Midwest cork roadbed (O scale) last Friday and I have just gotten around to using some of it today. 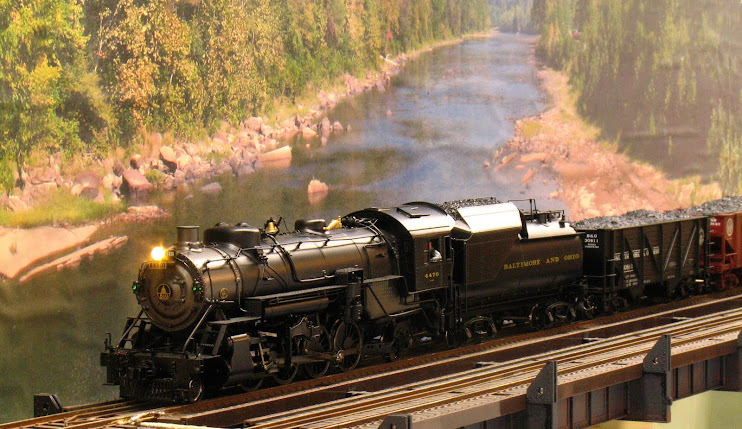 The last time I bought some cork roadbed was in the spring and at that time I had to scramble to find some as Midwest was not shipping any and my open house was approaching and I needed some badly. I bought all that a nearby (if you consider 30+ miles nearby) hobby shop had left and I was glad to have it. It's no secret that Midwest has been incorporating ground rubber (rumored to be recycled tires) into their roadbed in ever increasing quantities for some time. I had no problem with this and the roadbed that I bought in the spring appears to be about 30% rubber. This roadbed was still firm and held spikes and tack nails well. When the owner of the hobby shop opened the box of the new Midwest cork (BTW the same hobby shop) the smell of rubber hit me right away. 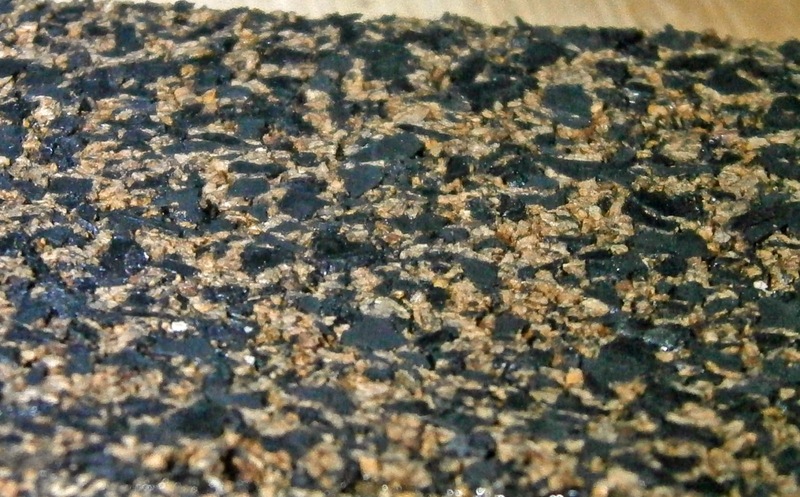 The roadbed was a mottled black in appearance indicating to me that the "cork" roadbed was now predominately rubber. Taking some strips out of the box, they were as limp as wet spaghetti. I made a comment that there's not much cork in it and the hobby shop owner suggested that "maybe they'll deaden sound better". I lay roadbed strips offset so that the joints do not line up together under the track. So here is a picture of a strip of the new (top) roadbed laid next to a strip of the old bought in the spring (bottom). The track in the background also has the old roadbed bought in the spring. 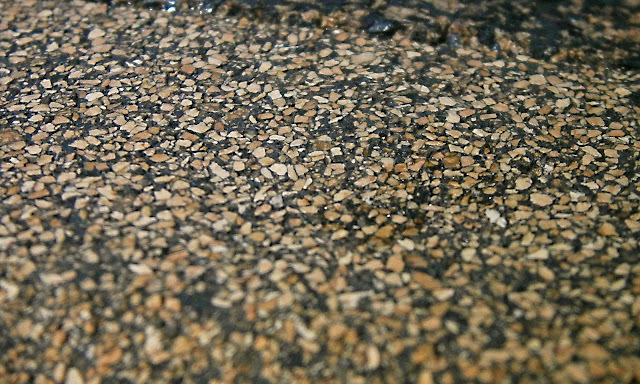 The following are close ups of the old roadbed followed by the new. As you can see the rubber content is now in the 40-50% range. In using the new roadbed, I don't like it. It's too soft. It's nearly as soft as some foams or carpet underlayment. The split down the middle does not separate cleanly, it leaves a jagged edge; nor is it cut on an angle to simulate the ballast edge. In building my track I put a layer of foam down first then I put a layer of cork on top for its firmness and its ability to hold fasteners. I don't think that this new "cork" will make the grade. I'll have to find an alternative.